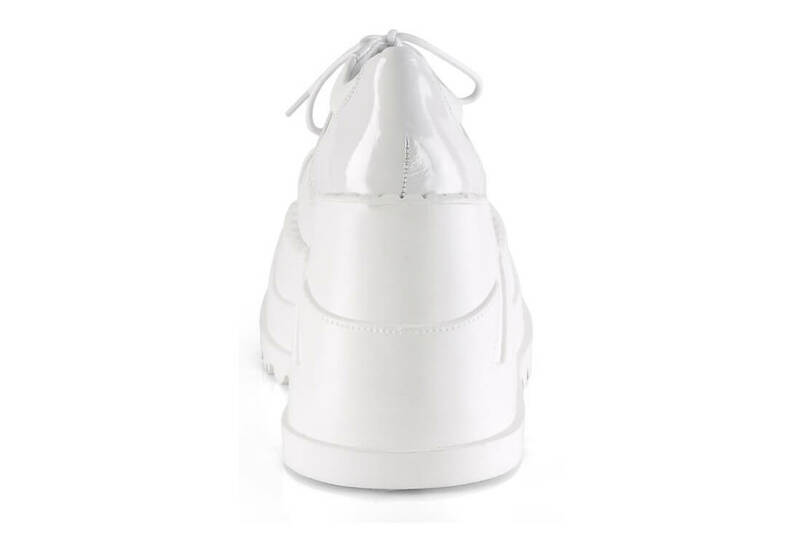 The Stomp-08 is white patent vegan leather platform shoe. 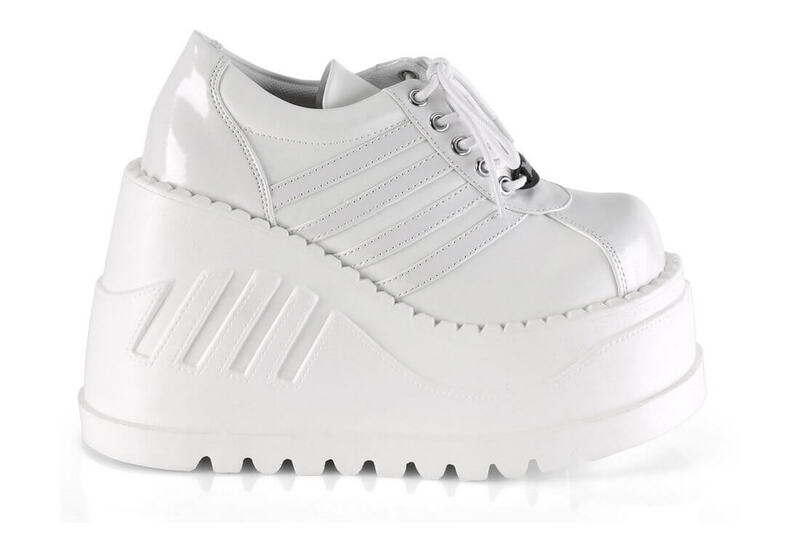 Part sneaker part platform shoe these shoes look amazing. The front laces up and they come with a 3 3/4 inch wedge heel with cutout stripes that match the upper.